The IPL has been very popular amongst the fans because of its unique franchise based format and the transparent nature of picking players. If a player has immense talent, no matter how new he is to the league, he will fetch a good amount, while no matter how reputed a player is but if he fails to deliver the goods he is released from the team. Hence, let us have a look at the 5 active players who have played for most number of IPL teams. ​Australian skipper, Aaron Finch started his career with Rajasthan Royals in the year 2010. But, he was released ahead of the 2011 season, which landed him in the Delhi Daredevils side. He could not get enough chances for Delhi, thus they decided to leave him from the team. PWI showed interest in him next. However, the franchise was dissolved soon, resulting in Finch’s move to SRH. Despite having a decent season, he was released and Mumbai Indians picked him next. Newbies Gujarat Lions picked him ahead of the 2016 season but the franchise left the league and Kings XI Punjab bought Finch next. This year, no franchise has included Finch in their team. Dinesh Karthik started his career with Delhi in the inaugural season but due to a reshuffling ahead of the 2011 season, Delhi had to release Karthik. Punjab bagged him next but traded him to the Mumbai Indians in the 2012 season. He stayed with Mumbai for 2 seasons before the Delhi team picked him for a price of 12.5 crore in 2014. Karthik moved to RCB in 2015 and then to Gujarat Lions in 2016. Last year, he joined Kolkata Knight Riders as the captain of the team. Parthiv was a part of CSK in IPL 2008 and stayed with them until 2011 before Kochi signed him. Due to Kochi’s termination, he had to move to Deccan Chargers. Deccan too got terminated, which led to Parthiv’s move to SRH. After that, Royal Challengers Bangalore grabbed him in the auction but left him out soon. Mumbai Indians bought him for the 2015 season and he remained with MI till 2017 before moving to RCB in 2018. ​Yuvraj Singh debuted for KXIP in 2008 and stayed with them for 3 seasons before shifting to Pune Warriors India. Pune’s termination led to Yuvraj’s move to RCB. His failures led to his release and DD became his new home in 2015. After an ordinary season, SRH picked him next in 2016 before he returned to KXIP in 2018. He will play for MI in IPL 2019. CSK was Perera’s first IPL franchise but he moved to KTK in 2011. Kochi left the league, leading to Perera’s move to MI in 2012. After a dismal season, MI released him as he signed with SRH next. KXIP and RPS sought his services later but he could not deliver big. 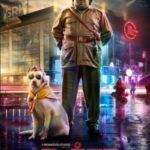 Previous article Yogi Babu’s animal connection continues!